This is who we share the roads with, part 1. A hit-and-run driver plowed into a line of parked cars at 6th and Daisy in Long Beach, resulting in a daisy chain of crashed cars. Or as the Long Beach Post called it, a car conga line. But sure, tell us again about those entitled bicyclists. This is who we share the roads with, part 2. A Texas woman had this to say about the driver of the bus she was on after the driver fatally rear-ended a bicyclist on the University of Texas campus. Not exactly the most comfortable way to get from here to there. And as usual, it was the guy on the bike who paid the price. Thanks to Stephen Katz for the heads-up. This is who we share the roads with, part 3. A drunken Honolulu driver killed three people when he somehow drove his truck across three lanes, jumped a traffic island and hit six people, followed by crashing into a pole, then into another truck. Three other people remain in critical condition, including the driver of the other truck. Initial reports indicate one of the people killed was on a bicycle. CiclaValley points out that the new Spring Street sort-of-but-not-really protected bike lanes don’t seem to have hurt filming, unlike the Hollywood rebellion over the previous green lanes. Then again, it also seems to double as a parking lane. Then again, I’m told that parking in the bike lane is a daily occurrence. And so is the filming. 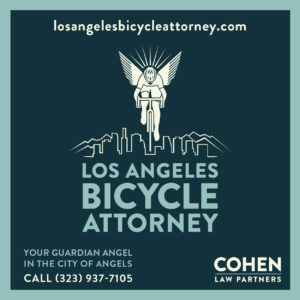 BikinginLA sponsors Cohen Law Partners offer advice on how long you have to file a lawsuit after a crash — two years in most cases. Unless the driver holds you captive. Freemont, California approved plans for a 17-mile, $1 million bike lane network to make up for their existing patchwork of disconnected lanes. And yes, the plans include Complete Streets and lane reductions. Although Robert Leone suggests that maybe it’s just a ploy to keep more motorists off the main streets and on the highways. A Los Angeles architect says little vehicles like e-scooters and bicycles can help heal car-centric cities. Long Beach has seen an average of over one person killed in traffic collisions every week this year, including two pedestrians and two bike riders. 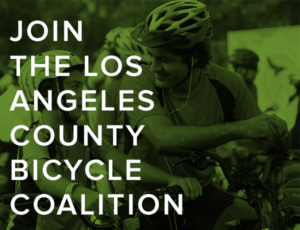 The LA County Sheriff’s Department received a nearly $2 million grant from the state to conduct traffic safety operations over the coming year, including DUI checkpoints and bicycle and pedestrian safety education. San Diego officials suggest defunding proposed bike lanes and sidewalks in a low income urban neighborhood, and moving the money to another project — even though it scored much lower on the city’s Visio Zero network. A mountain biker was airlifted to a hospital after suffering serious injuries while trail riding at the Vail Lake Village Resort east of Temecula. The faux Dutch village of Solvang put a bike lane project on hold, after discovering it was cheaper to remove parking on both sides of the street than just on one. A San Francisco woman got her $4,000 foldie e-cargo bike back after it was stolen, thanks to Bike Index and an alert cop. One more reminder to register your bike for free before something like this happens to you. Not bias here. A Marin newspaper says six months is plenty of time to judge if a pilot bikeway program on the Richmond-San Rafael Bridge is a success. Let’s see if they say the same thing about the area’s next highway project. Petaluma police busted a pedal-pushing burglar peeping into parked cars with drug paraphernalia and break-in tools in his pack. Chico got a $12 million cash infusion from the state’s Active Transportation Program to build a bike bridge over a major roadway. Good news. A new study shows “extreme” exercise like bicycling or running doesn’t put any extra strain on your middle-aged heart. 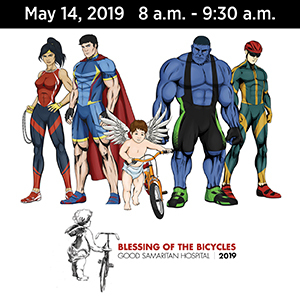 A writer for Bicycling wants to know if Google Sheets is trolling her with the image of four bicyclists on its homepage. A new study of 22 cities shows that transit use drops an average of 1.27% annually when ride-hailing services enter a city; the only one not to see a drop was Seattle. It would be interesting to see if it has a corresponding effect on bicycling. A Washington driver was sentenced to four and a half years behind bars for the hit-and-run death of a woman out for a 30-minute bike ride; her 81-year old husband found her body in a ditch when she didn’t come home. 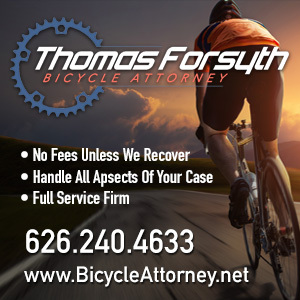 In yet another example of our legal system keeping a dangerous driver on the road until it’s too late, a Las Vegas hit-and-run driver with a previous DUI conviction downed three-quarters of a gallon of beer before he ran down a bike rider. Then downed another three-quarters afterward because he said he was going to jail anyway. A Montana writer says it’s dangerous to tailgate bike riders, so don’t do it. Especially in the snow. Which is not a problem LA riders are likely to face anytime soon, though rain is another matter. Pensacola FL embraces Complete Streets after a previous effort was torpedoed by city leaders. West Palm Beach, Florida officials credit the city’s Vision Zero program for a more than 20% drop in crashes involving bike riders and pedestrians over the past year. Even though they didn’t adopt it until the last five months of the year. A hate crime lawsuit was filed against the white Miami driver who threatened a group of black teenage bike riders with a gun while yelling racist epithets. Couldn’t happen to a more deserving guy. Toronto votes to make a set of separated bike lanes permanent after they reduced crashes involving bicyclists by a whopping 73% during the pilot period. More proof that bike lanes work, despite what the traffic safety deniers claim. There’s a lot of good people out there. A British woman wants to thank the strangers who rushed to her aid after she skidded on some oil and flew off her bike. Not surprisingly, a UK used car magazine’s campaign to give free reflective wear to vulnerable road users got a lot of blowback on social media, even though the company says they had a great response from the bicycling community. Twenty more bicyclists have come forward claiming they had “inexplicable” crashes at a single intersection on an English roadway, bringing the total to 28 people who say they were injured falling off their bikes at the same location. No size shaming here. An Irish rugby player says when he sees someone who weighs 280 pounds riding a bicycle, he wonders “What’s the point?” The point is a) they’re improving their health, b) they may be going somewhere, and c) they’re enjoying themselves. So get over it, already. A Norwegian startup has developed a rechargeable, bendable GPS tracker that can be wrapped under your handlebar tape to help fight bike theft. A one-armed Indian bicyclist rode nearly 1,000 miles from Delhi to Mumbai in just 15 days. No word on whether anyone lent him a hand. An Aussie newspaper says motorists are wrong when they criticize bike riders for breaking the rules — like the man who drove on a bike path to swear at two bicyclist who were riding in the road, not doing a damn thing wrong. A bicyclist says the barriers blocking an Australian bike path are just a load of bollards. Hurry, and you might be able to score one of two remaining handmade ti bikes inspired by the ancient Chinese imperial court in the Forbidden City, for just under $6,000; the other seven have already been given to foreign dignitaries as national gifts. Or you could just ask your favorite dignitary to give you theirs. Evidently, the fifth time is not the charm. If you’re trying to ride away from an angry owner after stealing his bike, watch out for cross traffic. And now you can ride My Boo. As long as you’re willing to move to the UK first. Hey Ed, thank you for the correction. Do you have a website? I can’t find one for you.